Rabbit saddles are the meat from the main body of the rabbit, minus the legs and head. 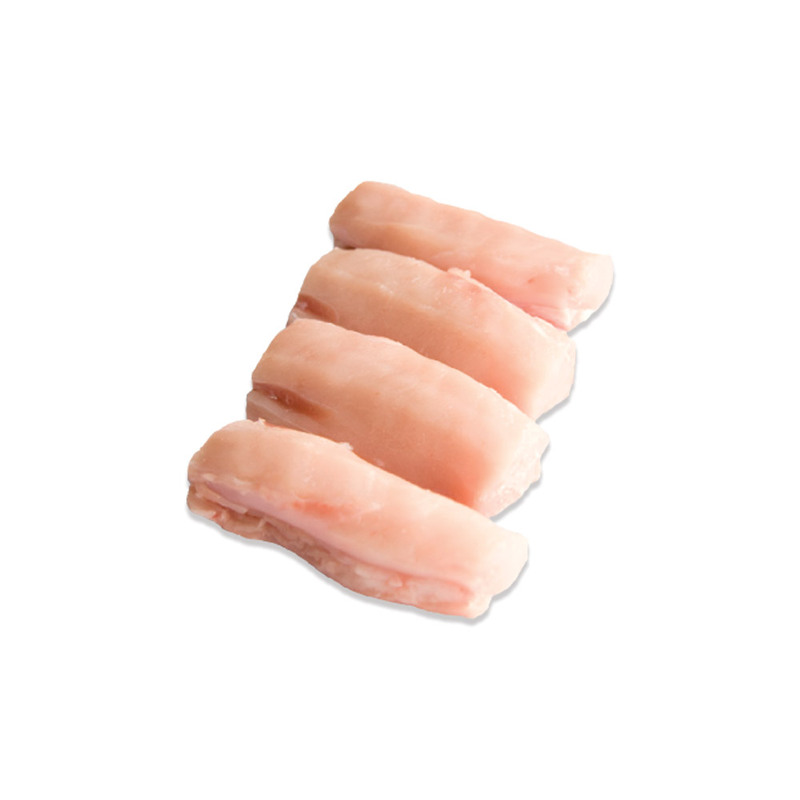 Saddle meat is particularly tender, with a mild and easily adaptable flavor somewhat similar to chicken, but richer. It is low in fat, calories and cholesterol. Boneless rabbit saddles are the perfect cut for people looking to cook rabbit for the first time, because they require very little (if any) trimming. Air chilling (as opposed to the cheaper and more common industrial water chilling) rabbits is a more environmentally sound process that generates less waste and further improves the flavor and texture of the meat (water chilled rabbits can absorb water during the chilling process). These rabbits are raised by Grupo Hermi, a company that has been raising top quality rabbits in Spain for over 40 years. They control all aspects of production from breeding for superior genetics to innovative farming, processing & packaging. European chefs have very high standards when it comes to rabbit, and Grupo Hermi delivers. Store rabbit meat in your freezer until you're ready to use it. Rabbit saddle meat is often roasted (stuffed, rolled, and tied if desired), but boneless saddles are also well suited to being cut up for use with fast cooking methods like sautéing or frying. Serve them as you would any quick-cooking tender cutlet, game meat medallion, or steak with a starch or vegetables. You can also pre-cook them and add pieces to finished soups, salads and sandwiches. Finally, rabbit meat can be substituted for chicken or pheasant in many recipes. Because rabbit dries out easily when overcooked, many chefs prefer only cook it until it’s medium rare (just until the meat turns opaque). If you’re concerned about the meat drying out anyway, or are planning on cooking it further, consider wrapping the saddle or saddle meat portions in caul fat, bacon, or pancetta (this technique is called “barding”) so that the added fat will baste the rabbit as it cooks. If desired, the bacon or pancetta can then be removed prior to serving. 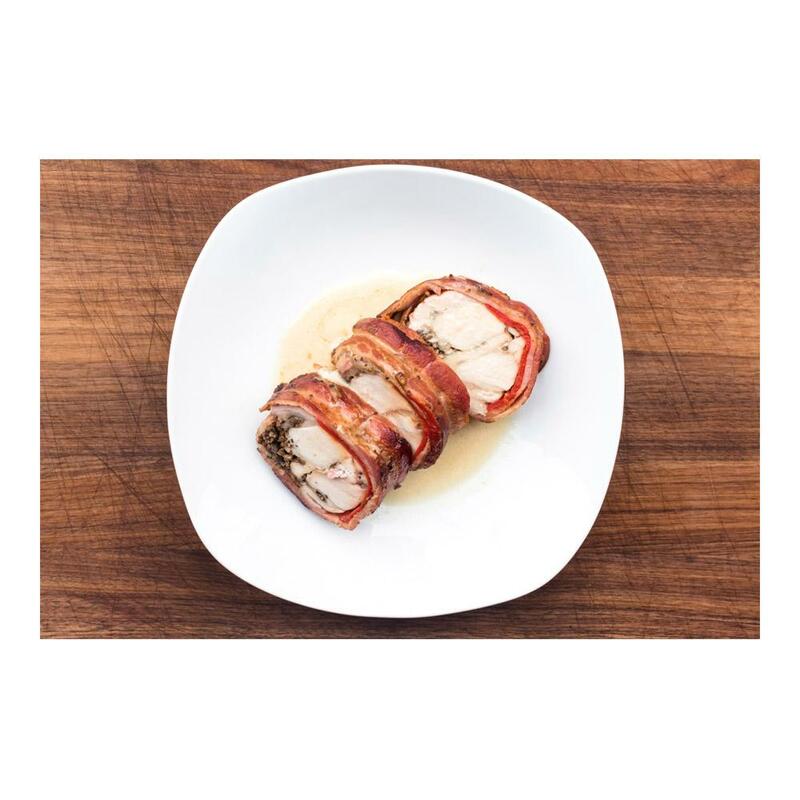 Rabbit meat’s flavor pairs well with onions, bacon, thyme and most other herbs, mustard, juniper berries, fruit, red wine, and mushrooms. I buy 10 pounds of Rabbit every 5-6 weeks and this is the finest quality. I have tried others but they are not this quality or as meaty.